Diane is our fearless leader when it comes to Travel Operations. She has been with JNR for 20 years and has seen it all. 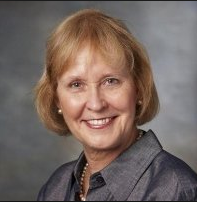 She has worked on some of our biggest accounts and leads the Operations team on programs of all sizes. Diane has a wealth of knowledge that is shared with the JNR Travel Operations team on a daily basis. We strive to create unforgettable programs for every one of our clients. With Diane’s experience, we are able to do just that! I love South Africa for Incentive Travel as it has it all. The incredible safaris, the delicious food, the beautiful people and their amazing culture. It is the “Eat, Pray, Love” of locations. I have a fear of fire due in part to my house catching fire when I was in high school but also due to a program in Monte Carlo that took place years later. I was shuttling our guests from their hotel to the dinner by helicopter. Once there, they walked up a grand staircase to the top floor where they were greeted with an exquisite view. Candles lined the staircase and guests were in elegant evening gowns. One lady had a particularly flowy gown that swept across a candle and caught on fire. I was the first to her and used my own clothes to put the fire out. Thankfully, the participant was fine and she and the rest of the guests continued to enjoy the event without fuss. In the end, they all had a beautiful evening and loved the dinner…and I no longer use candles! The JNR Difference is in our blood. It is the ability to do what I know will work best, while respecting both the client’s corporate guidelines and the safety of the participants to create an incredible experience. An example of this was on a program in Florida when I received word that a hurricane was approaching. I worked for three nights, without sleep, to get all 300 guests on an earlier flight home to avoid the hurricane. I was constantly on the phone with airlines trying to work this out. In the end, they were all extremely grateful and I was pleased, knowing that we did what was needed to ensure the safety of our guests. It is always new. There is always something to learn and it is always exciting. The tougher it gets, the better it is. Millennials want experiential incentives, which is a new way of looking at the business. This new group of attendees will force energy into programs and renew the overall business of Incentive Travel. 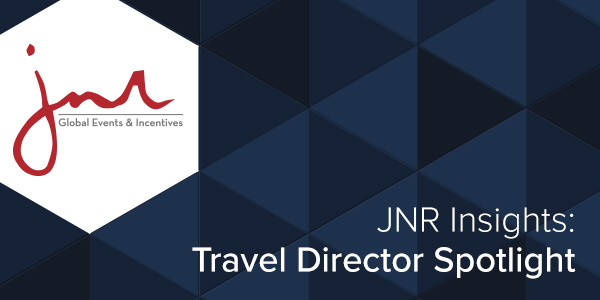 JNR is a full service, globally recognized leader in the incentive industry offering solutions for Meetings and Conferences, Incentive Travel, Special Events and Entertainment, Prepaid Card Services and AXS Contact Center Solutions. We have over 36 years of experience working with Fortune 500 companies across many industries. Our clients trust our comprehensive suite of solutions that offer a better way to reach performance, productivity and loyalty objectives. JNR tends to every detail of your program to ensure an extraordinary experience for your customers, employees and participants and a favorable return on your investment. We allow you to step away from the logistical details and let you focus on what you do best.